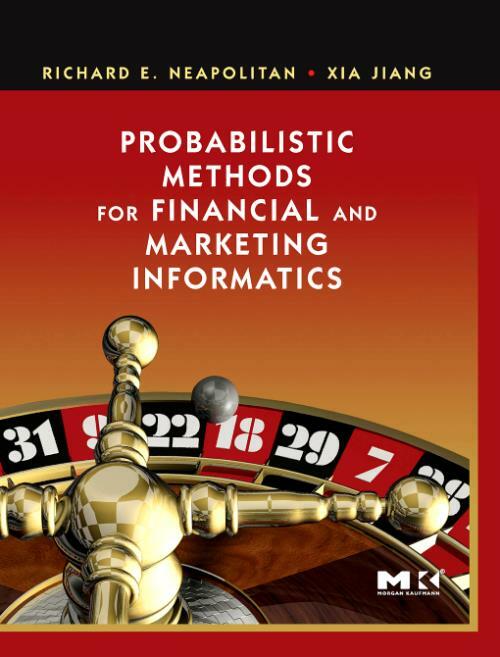 Probabilistic Methods for Financial and Marketing Informatics aims to provide students with insights and a guide explaining how to apply probabilistic reasoning to business problems. Rather than dwelling on rigor, algorithms, and proofs of theorems, the authors concentrate on showing examples and using the software package Netica to represent and solve problems. The book contains unique coverage of probabilistic reasoning topics applied to business problems, including marketing, banking, operations management, and finance. It shares insights about when and why probabilistic methods can and cannot be used effectively. This book is recommended for all R&D professionals and students who are involved with industrial informatics, that is, applying the methodologies of computer science and engineering to business or industry information. This includes computer science and other professionals in the data management and data mining field whose interests are business and marketing information in general, and who want to apply AI and probabilistic methods to their problems in order to better predict how well a product or service will do in a particular market, for instance. Typical fields where this technology is used are in advertising, venture capital decision making, operational risk measurement in any industry, credit scoring, and investment science. Complete review of Bayesian networks and probabilistic methods for those IT professionals new to informatics. I: Informatics and Baysesian Networks; Introduction to Informatics; Basics of Probability and Statistics; Algorithms for Bayesian Networks; Decision Trees and Influence Diagrams. II: Business Informatics: Collaborative Filtering; Targeted Advertising; Market Basket Analysis; Venture Capital Decision Making; Measuring Operational Risk; Credit Scoring; Applications to Investment Science. Appendices. Richard E. Neapolitan is professor and Chair of Computer Science at Northeastern Illinois University. He has previously written four books including the seminal 1990 Bayesian network text Probabilistic Reasoning in Expert Systems. More recently, he wrote the 2004 text Learning Bayesian Networks, the textbook Foundations of Algorithms, which has been translated to three languages and is one of the most widely-used algorithms texts world-wide, and the 2007 text Probabilistic Methods for Financial and Marketing Informatics (Morgan Kaufmann Publishers).